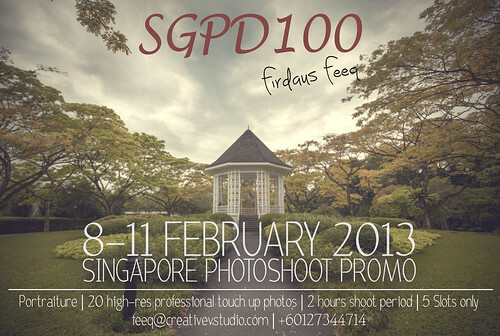 Feeq will be in Singapore (8-11 February 2013) for magazine advertorial shoot. Grab opportunity to have him as your photographer! Limited to 5 people only! PHOTOGRAPHY and BUSINESS, TOGETHER! – FREE and LOW COST TECHNIQUES.